Imagine: You’re pouring money into a problem, but you have no idea how to determine if you're actually doing anything to solve it. You hope you are. And you know that some of your resources should be dedicated to the problem. Still, you wonder (as the money routinely leaves your bank account) if there's a better approach. This is the challenge that so many businesses face, as they look at their outbound marketing budgets and wonder if they’re getting much return on that (large) investment. After all, it’s hard to track whether their sales increased as a direct result of their latest newspaper ad. So, if you could use a marketing method that would cost you 67% less per lead than your current approach and would allow you to determine a specific ROI - would you? That’s where inbound marketing comes into play. In a nutshell, outbound marketing is when you go to where the customer is and try to get their attention. You’re familiar with outbound marketing. Billboards, TV and radio commercials, print advertisements, sales calls, trade show booths--it’s what most people think of when they think of marketing. It’s sometimes called “interruption” marketing because it kind of does just that. The advertisements get a potential customer’s attention mostly by interrupting them while they’re doing something else entirely - driving, watching TV, eating dinner (the worst!). You are, essentially, buying their attention. Outbound marketing tends to be more expensive than inbound marketing simply because you have to do so much of it - consistently - in order to get results. Also, outbound ads tend to be more expensive to produce and distribute - you can't exactly produce a TV commercial for cheap, and you definitely can't host it on your own website. To top it off, it suffers from being blocked (e.g. spam filters, ad blockers, DVRs) by people who don’t want to hear from you. In fact, 86% of people skip past television commercials, while 44% of people don’t even open direct emails. You can adjust your inbound marketing strategy in real-time since you are able to track its effectiveness almost immediately. Inbound marketing can return more than 30 times what a traditional outbound marketing mail campaign will, all at a lower cost and with laser-like tracking precision. If you want to get more leads from your radio advertising, or see a better return from your TV commercials, inbound marketing strategies will help you do it. If your current strategy relies solely on outbound marketing, mixing inbound marketing with those campaigns will yield you better results. Lead scoring requires you to set up "scores" based on different types of engagement with your inbound marketing, as well as with demographics. The goal is to determine if a lead is an ideal fit for your business. As inbound marketing brings customers further along your sales funnel, you use those previously established scores to ascertain the value of their activity. For example, you might have different point values for activities like visiting specific landing pages, opening marketing emails, or filling out lead forms on your website. You also score based on demographics, such as geographic location, industry, etc. Once that lead hits what you determine to be a threshold of "good fit" for your business, you can reach out to them using outbound techniques. 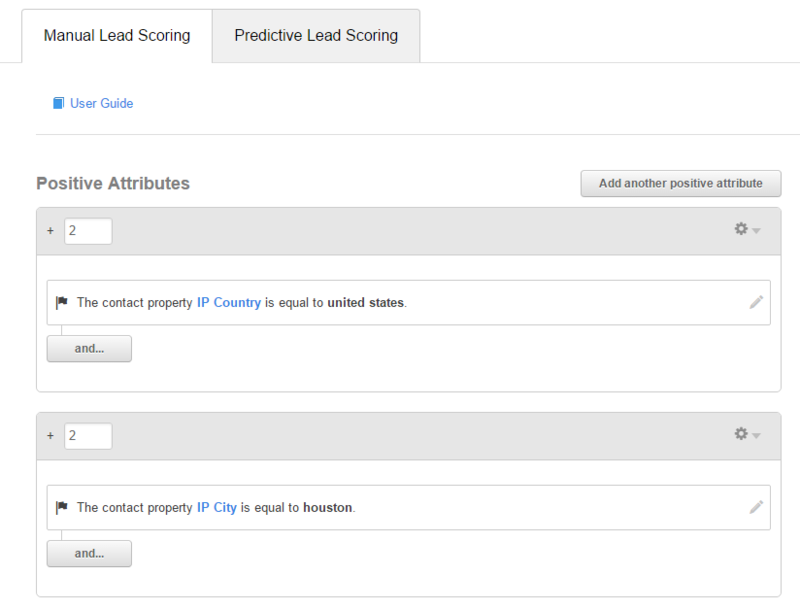 Lead scoring relies on inbound marketing to bring a lead in so that their engagement can be monitored and tracked. Then, it uses outbound marketing to pull a warm lead even further down the sales funnel. Since your lead scoring and inbound marketing efforts will help you identify these warm leads, your outbound approach won’t be seen as a cold, unwelcome interruption. At that point, the lead will be receptive to hearing more from you. The data you can collect from inbound marketing is impressive, and the trackability of lead activity is part of why it’s so valuable. Why does data collection and tracking matter? You can target outbound online advertising to specific demographics. This is especially true on social media platforms where the demographic and audience targeting is almost hyper-specific. Even though you're using outbound marketing to reach brand new leads, you can already target the audience that you think will be most receptive to it. You can use remarketing in your advertising campaigns. Remarketing uses tracking to target potential leads with specific ads based on the websites they’ve visited in the past. If someone visits your site, for example, they will start to see your ads as they continue to surf the web and visit other sites. After a while, they start to recognize your brand - which means you've won a big part of the marketing battle. For example, after visiting Wordstream, you'll probably end up seeing their ads on subsequent sites you visit, even if the site isn't related to PPC advertising. Getting potential leads on a proper (and trackable) inbound path is crucial to figuring out an accurate ROI. It'll also tell you whether or not a particular outbound marketing technique is working the way you want or expect it to. These are all actions that will help you see actual numbers on who responds, how they respond, and when they respond. You’ll be able to build data on the success of your marketing campaigns by introducing them to your inbound world. Closed loop reporting is where you connect your marketing data with your customer data. It’s a technique that tightly connects the data you collect on a lead-turned-customer, including how they got in your sales funnel, what they did once they were there, and how they completed the sale. This provides an accurate ROI for the different marketing campaigns and activities you’ve invested in. Since you can see exactly what caused a lead to come to you, you can attribute that reason with an eventual dollar amount (a completed sale). If you’re plugging your outbound advertising into your inbound marketing strategy, you can reap the benefits of closed loop reporting. 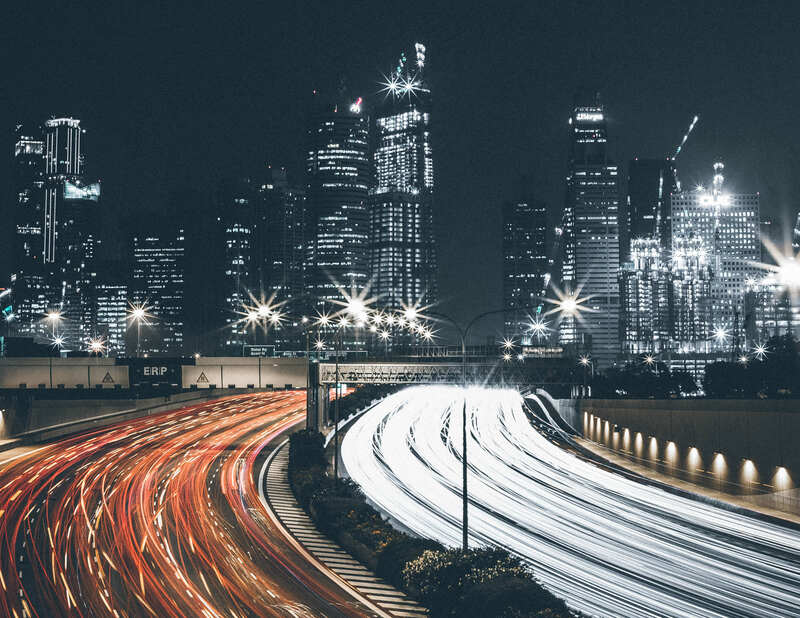 Suddenly, those hard-to-track outbound efforts can be directly connected to actual sales and income from specific marketing and advertising campaigns. While closed loop reporting doesn’t exactly improve your ROI in a direct way, it lets you accurately measure it so you can adjust your strategy (and budget...and energy) to more profitable tactics. This ultimately improves the overall ROI for your marketing. At the top of the sales funnel, outbound marketing is at its weakest. Your ads take a stab in the dark at completely cold leads. 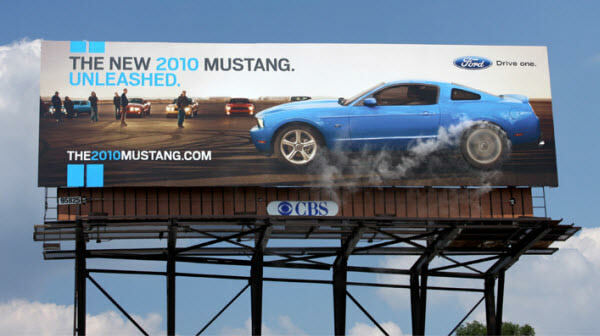 It’s sort of a splatter approach, with you hoping that if you cover a large enough area with your advertising, something will stick somewhere. Inbound marketing works great to bring leads through the top of the sales funnel, encouraging them to progress further with the process. This is where outbound marketing has a place - further down the sales funnel, when your leads are warmer and open to what you’re offering them. Here, it's pretty safe to reach out using outbound marketing techniques, such as phone calls or direct mailings. At this point, the lead is in. You know this because of what you’ve learned about the lead from your inbound marketing data. Now you can reach out and see if they have any questions for you, or if a special sale or promotion would interest them. Outbound marketing, when a lead is already interested, can help reduce some barriers to making the sale. When done properly, it can show that you’re interested in them, you want to help, and you're willing to work with them to find their best solution...and close the deal. Outbound marketing is still useful for many companies, but when you pair it with inbound marketing, you gain more control over your strategy and results. Inbound marketing is how you “warm up” the top of the sales funnel and make leads receptive to future outbound marketing campaigns. It reduces the energy (and expense) that comes from spraying a broad swath of advertising over a general audience, helping you narrow that audience down to receptive leads that are a better use of your outbound dollars. For those who rely almost solely on inbound marketing strategies and are seeing significant success, there’s no reason to think you have to use outbound marketing, too. But for businesses who lean heavily towards outbound marketing, or local businesses who want to build a presence within their communities, pairing outbound with inbound is the best way to track how successful those efforts are.